Cryoskin originated in Paris and is a new technology to the US. Cryo Shield Therapy was the first to bring Cryoskin to San Diego. Using freezing temperatures, Cryoskin can destroy fat cells, boost collagen, and slow down the aging process. At Cryo Shield Therapy, we offer three different treatments: CryoSlimming, CryoToning, and CryoFacials. Each treatment has different characteristics and benefits but all are non-invasive and require no downtime. For more information on the specific treatments, please select a treatment button above. We recommend 3-6 treatments to see best results. We also encourage a healthy lifestyle to continue to see results as well as having ‘maintenance’ treatments after your initial set of treatments over time. What makes Cryoskin different than Cool Sculpting and other cold therapies? The Cryoskin machine is manufactured by a company that makes over 40 different medical devices and has been in business for over 70 years. 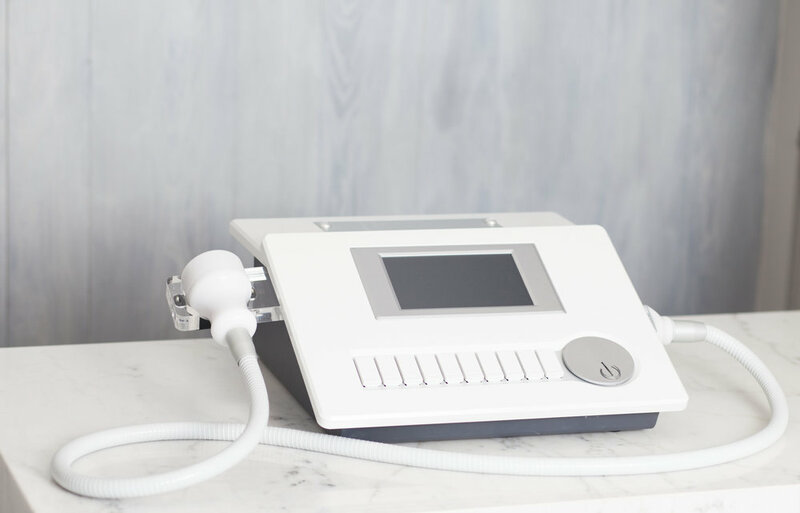 The machine uses an effect called the “Peltier Effect” to control the temperature of the wand leading to a much safer way of providing heat and subfreezing temperature treatments to the body. With the Peltier Effect the fat cells are killed without damaging surrounding tissue. Sessions usually take 20-30 minutes. Does Cryoskin hurt or have any negative side effects? Most of our clients do not feel that Cryoskin hurts them or brings them pain - neither the duration of the treatment or as a side effect. At its coldest temperature, Cryoskin may be uncomfortable. In a survey conducted by Cryoskin, 53% found the treatment comfortable, 35% found the treatment relaxing, and 12% found the treatment bearable. Skin may feel cold or tight after the treatment but will diminish over time. Book a free consultation or give us a call through our Book Now page.